Biotrue Solution is designed for disinfecting, cleaning, and storing all types of soft contact lenses. The pH factor of Biotrue Solution is designed to be similar to human tears. 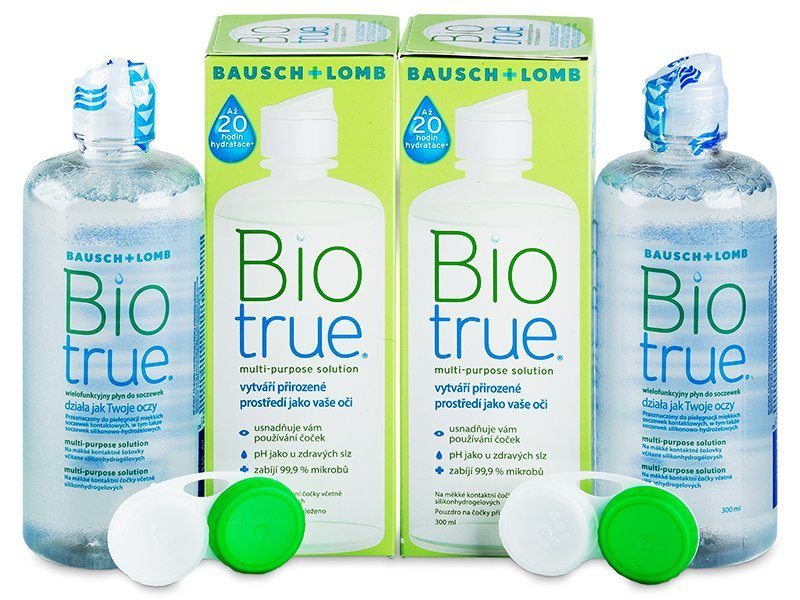 Biotrue Solution inhibits the formation of certain proteins in tears and thus helps keep your lenses clean and microbe-free.